Desktop calculator and expression evaluator. Evaluate simultaneously multiple expressions. Support for parantheses, user variables, scientific notation, decimal, hexadecimal and binary bases. Trigonometric functions and bitwise operators. Compact and extended modes. 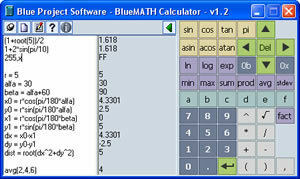 Blue MATH Calculator is a business program that works under windows xp, windows vista, . Estimated download time for Blue MATH Calculator on a common adsl connection is less than a minute. 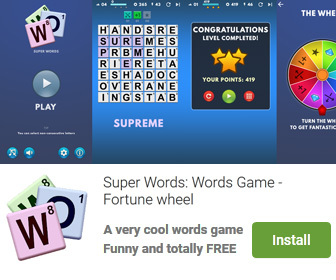 Version 1.0.001 was released three thousand nine hundred eighty five days ago by Blue Project Software. Click the green download button to download it now.